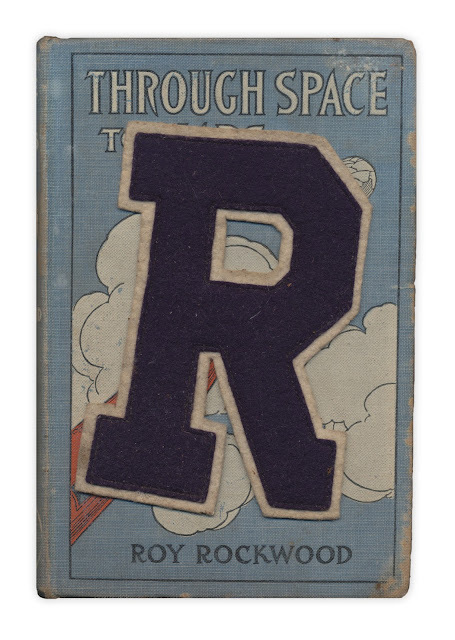 Felt patch, likely an old varsity letter. Found in "Through Space to Mars" by Roy Rockwood. Published by Cupples and Leon, 1910.